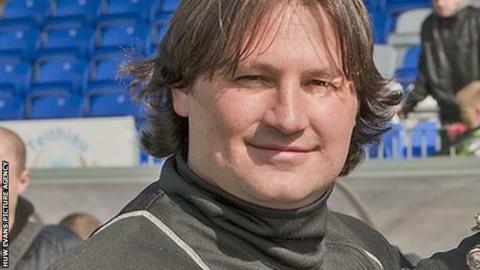 The New Saints manager Craig Harrison is banned from the touchline for the Welsh Cup final against Newtown on Saturday, 2 May. Harrison was found guilty of using "foul and abusive language" during his side's league match against Newtown in March. Airbus UK boss Andy Preece has been banned for nine-matches for three counts of the same offence against TNS in April. Preece's ban begins on Friday, 8 May.